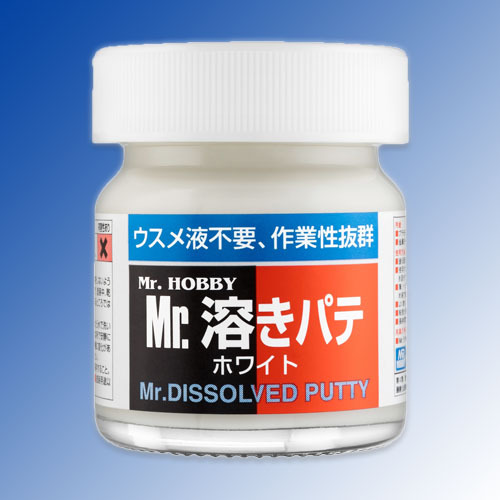 Mr Dissolved Putty - a very effective putty for smaller gaps and dents. Makes dealing with ejector pin marks a breeze. If needed can be diluted with either Mr Thinner or Mr Levelling Thinner. Apply a small amount with a brush or cocktail stick. For deeper gaps apply in multiple layers. Once dry you can remove the excess with cotton bud moistened with Mr Thinner to avoid obliterating surface detail around the puttied area. Can be sanded and polished once dry.